Thankfully today was much better at work, most of my co-workers were back. But I’m still feeling a little germaphobic with so many sick people around washing my hands tons and breaking out the cleaning wipes on everything I’ve been touching. Enough about being sick, I don’t want to even think about catching anything before my upcoming half-marathon! Let’s move on to a new toy I’ve been using for the last month. 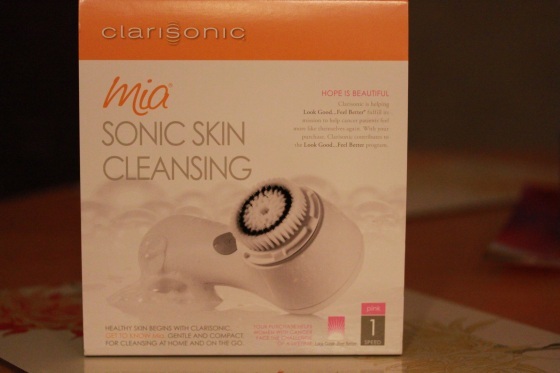 *Please note I purchased the Clarisonic with my own money, I was not sent one to review. Acne, pimples, zits, problem skin, face frustrations – these have been constants in my life since I was a teen and a major contributing factor to my eating disorder in high school. Ever since I started becoming more self-conscious about my skin in high school, I can’t remember ever feeling happy or thrilled with it, or ever looking into the mirror and really liking what I saw. While trying to stamp out this frustrating problem in high school, I became over obsessed with my skin and dwelling on all it’s flaws. Thankfully acne is a thing of my past now, but I still get issues and feel self-conscious about my oily skin. Since becoming older and wiser, I’ve learned more about what triggers my skin issues and stress is a major trigger. But my battle with my skin throughout high school left a lot of emotional scars that prevent me from trying many new products. Back in high school, my doctor’s first response to solve my issues was to prescribe Retin A. And, as I recall, it was horrible stuff that burned my skin and turned it bright red and making it peal. Only to reveal more breakouts and making things worse, both physically and emotionally. That experience made me all too aware that my skin could be very reactive to new products causing them to backfire. I tried Proactiv Solution in college and it helped a bit. 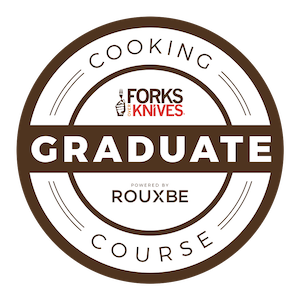 But was also very pricey for a poor college student and time-consuming to go through the entire process. I gave up on it months later when I was still having issues with my skin and wallet opting to go back to basic, store-bought face soap. And I have never felt good about using harsh chemicals on my face that some pricier face soaps might have, sticking to basics has worked better for me. I’ve also tried and used facial exfoliate scrubs, but they’re harsh on my skin if I use too often and can cause a negative reaction. Also I had an incident with one where a exfoliate granule got caught in my eye and bugged me for hours until I was finally able to wipe it out with a cotton swab. I haven’t used one since. I was first exposed to the Clarisonic face system from an ad in Cosmo about 6 months ago and was intrigued by all the good reviews on Amazon. At the same time, I was skeptic about all the glowing reviews. I’ve bought into hype with skin care products before only to be disappointed with results. And the price also held me back, I didn’t have $130 laying around to plunk down on one of these things. But I couldn’t stop thinking about it and researching it online and I started seeing it on blogs too. Then on display at my waxing salon and getting rave reviews from my waxing specialist who has perfect skin of course. Then in Ulta and Nordstrom – this thing was haunting me now! 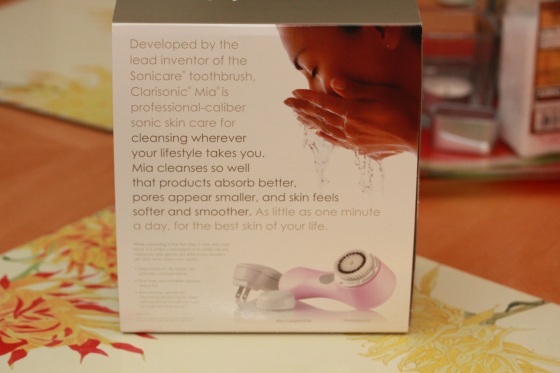 Finally, just over a month ago, I purchased the Clarisonic Mia in pink. What is it? Essentially a Sonicare toothbrush for your face. No, not actually a toothbrush, but it was invented by the same guy and uses the Sonicare super vibrating motion and delicate bristles to clean facial skin many times better and faster. I selected the Mia model because it’s cheaper, smaller and easier for travel. But it is designed for face use only, the bigger models can be used elsewhere on the body. When I first received it, I was red hot to start using it right away … but couldn’t because the instructions stressed that letting the device charge for 24 hours before it’s first use was crucial. I pouted, but complied not wanting to damage the battery life. When the 24 hours were up, it was time to party! I wasn’t really sure what I was expecting it to feel like, perhaps the exfoliate scrubs or a tickling brush. But it was neither, in fact it hardly feels like anything. The soft bristles on the included soft brush head were very delicate as they pulsed just the skin surface. I almost wondered if it was doing anything, but my smooth feeling skin afterward assured me it was. When the Mia is first powered on, it runs for 60 seconds before shutting off. The intention of this is to prevent people from using it for too long and irritating skin. So I had to master scrubbing my entire face in a circular motion within 6o seconds and use the remaining time to go over trouble areas again. But the time limit actually turned out to be a time saver for me, the Mia can thoroughly clean my face faster than I can massaging soap around with my hands and that makes my Type A side happy. The manual and box state that it’s waterproof and the slick magnetic charging plug would certainly hint that it is. I have used it in the shower and drenched it pretty good while rinsing it, but I haven’t fully submerged the device in water and don’t think I will any time soon. I’ve been using it twice a day for the last month and in the first week I noticed some changes, the blemishes I did have were no longer “3D”, my skin was feeling much smoother and no new blemishes were forming. Except for a few little blemishes, I was noticing pretty smooth skin for the first 3 weeks of use. Then that not so fun lady time happened which changed my good luck streak. While the Clarisonic did help, I still had a mini breakout that week. Since then, things have settled down nicely and I haven’t had any issues. What’s nice about the Clarisonic is you can use your favorite face soap with it (which is Burt’s Bees Soap Bark and Chamomile Deep Cleansing Cream for me currently), no need to purchase a pricey soap. And it’s not that expensive to use requiring new brushes every 3 months. The battery lasts for about 1 week when using it twice a day, not bad at all – I’m charging my electric tooth brush more. To sum up, this is an excellent face washing device, my skin feels noticeably smoother after use and it takes me less time to wash my face, I feel it was worth the money. But it is not the perfect solution for breakouts, while it will help, it won’t completely stamp out the problem. Now onto my favorite meal – dinner. I got a monster bunch of bok choy in our last farm box, so huge that I wasn’t sure what to do with it. I decided I needed to use it up tonight and created another stir fry. 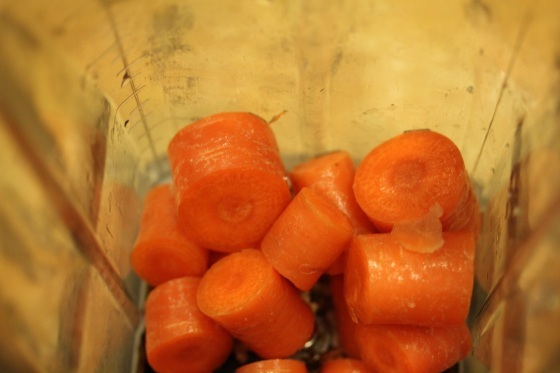 I threw chopped carrots, tamari, garlic, ginger, rice vinegar and a little water into the Vita-Mix to make a stir fry sauce. 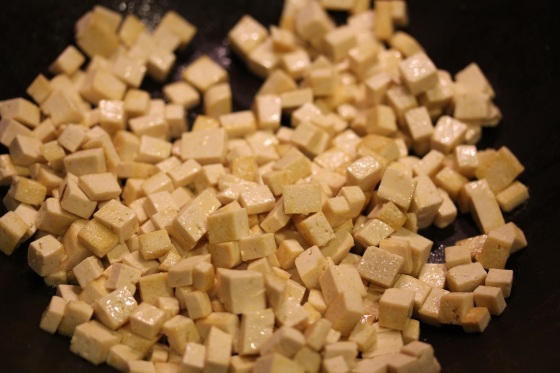 Then stir fried tofu cubes to a golden color before adding the bok choy, zucchini and carrot ribbons to the wok. When they were cooked down, after about 5 minutes, I poured my sauce creation over and stir fried for another couple of minutes. The result was a quick dinner that had a nice savory kick. 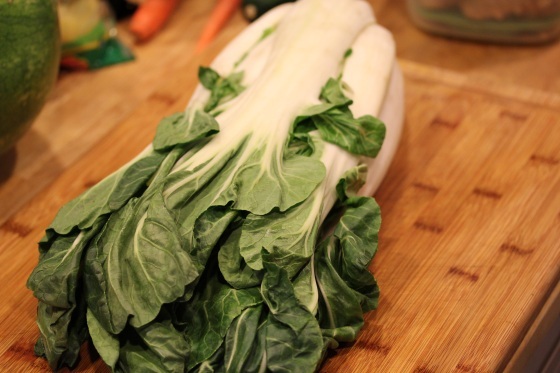 What’s your favorite way to prepare bok choy? your dinner looks amazing! 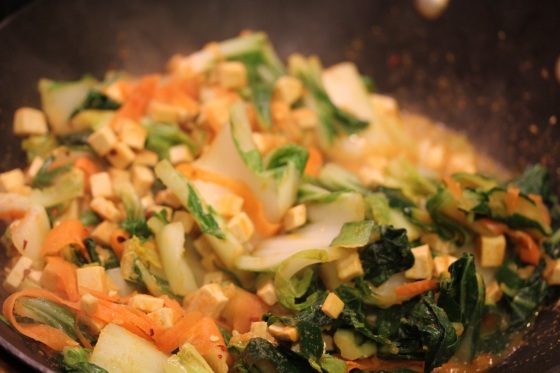 I rarely eat bok choy – no matter how much I wash it, it always tastes gritty to me. I like your product review too. My best acne prone skin discovery was the neostrata product range – I find the citric acid does wonders for my skin. I’ve noticed that about some bok choy varieties too, but this one didn’t seem gritty. I’ve never tried Neostrata, but will look into it – thanks! pour over salad mix and enjoy! That recipe looks wonderful, thanks for posting it! Can’t wait until mangoes are cheaper here. the bok choy dish looks amazing! and stir fry for me is the best way. and did you know that tahini/sesame seeds and bok choy are two of the highest plant based calcium sources? they always tell mother of veggie/vegan kids to make sure their kids are eating foodbased sources of calcium…b.c you know, those are so readily available and all toddlers love bok choy, right :) But skylar does! Anyway this was my fave post of yours in months..the realness of your story, sharing something so personal about yourself and your past, and also for the review. I think i will get one (after my lens, iphone, etc..lol) But seriously ive heard great things about them and trust me being a teen is one thing, then get pregnant, not preg, nurse, not nurse, your skin goes thru major changes!! Good to know on the calcium, thanks. I should have created a tahini-based stir fry sauce to make this a calcium powerhouse meal. :-) Yeah, it would probably take a few tries to get my nieces to like bok choy, but this variety was sweet and not gritty at all. Thanks on the post, it seems to be a great device so far – worth it for my oily skin. I’ve seen the changes pregnancy can have on skin, not fun. But this probably would help a lot as a good scrubber making any soap product work much better. 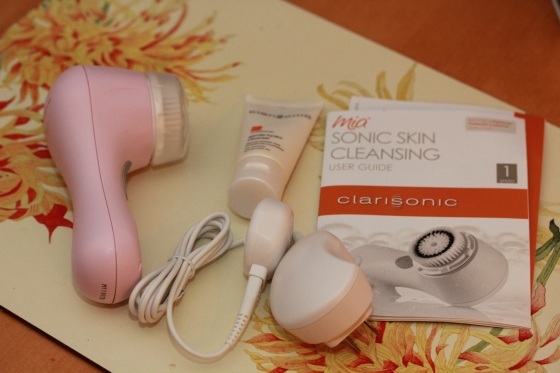 I have the clarisonic…not the mia version, but it’s the same thing pretty much. I’ve been going to do a review on it too—I like it a lot. I noticed the same thing, smoother skin and no new “real” breakouts. I use it with Desert Essence face wash, and it’s totally awesome! I’ve been using essential oils on my face for a year (instead of lotions and stuff), and also taking chlorella supplements…and since then my skin has improved a lot. But the clarisonic has made a much much bigger difference in a short time. Can’t wait to see the effects of using it for longer periods of time! Thanks for sharing. I was thinking about getting the bigger Clarisonic when I purchased this one just for the speed and timing options. So far I really like mine too and can’t wait for your review. Never tried Dessert Essense, but I will look into it. I can’t wait for the longer effects too like possibly reducing old scars and blotches. Thanks so much for sharing, Christine. It was really informative and so great that you are getting good results from the Clarisonic. I love to grill bok choy. Yep, just drizzle it with EVOO, lemon and garlic and lightly grill it. Mmmm. 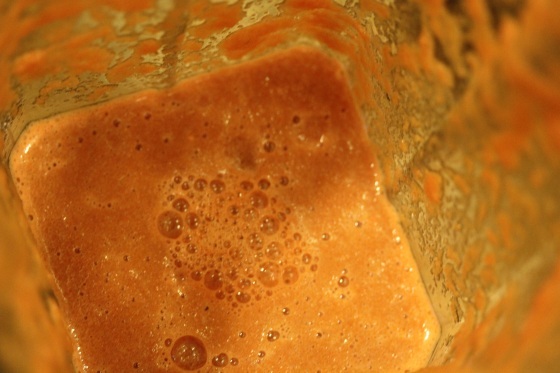 I also like to add it to green juices. I have been SO wondering about this thing– like you, I’ve been seeing it everywhere!! Thanks for the detailed, honest review! I have the SAME clarasonic and I love love love it! I just bought replacement brushes for it too ; ) I use mine every day as well ! And I have even dropped my Clarisonic a couple of times with no issues thankfully! It can get slippery in your hands with soap, water and vibration. I don’t want to have to replace it anytime in the near future. 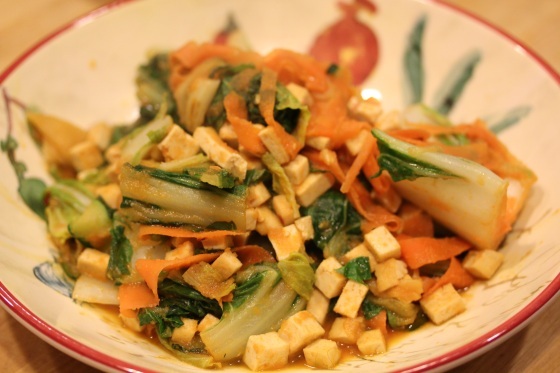 Cool recipe, I love bok choy so I will try your recipe when I get a chance (ha ha)! I still need your nut cheese recipe for your kale chips. Never mind, I just found the recipe on the site! Thanks for taking the time to review your new Mia. We’re so happy to hear that it has helped your skin improve. Hope you have a sonerific day!